SOAS offers a wide variety of courses taught in the summer months, varying in length, structure, and price. To get a taste of the SOAS experience takes a look at the video! If you would like to broaden your horizons at summer school and get a new learning experience then have a look at what is on offer below. Taking a summer course at SOAS enables students to learn about a wide range of topics, combining cutting-edge academic research, innovative teaching and practice-oriented learning. Whether you are a current student, a recent graduate, a young professional, or if you would like to upgrade your knowledge, taking a summer school course will broaden your horizons. 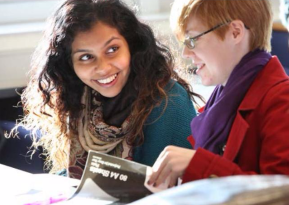 Courses are taught at level 2/3 of a typical SOAS undergraduate degree programme and are suitable for undergraduates, as well as graduates and postgraduates without in-depth knowledge of a specified topic. 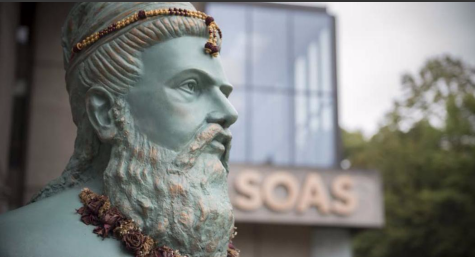 Pave your way into SOAS: Summer School students can apply to continue their studies at SOAS, with over 115 Postgraduate programmes to choose from. A university student or a graduate at the time of attending the Summer School, and 18+ years of age. Professional experience can be acknowledged as equivalent to a university qualification. Participants have to be 18 or over at the time of attendance. TOEFL Paper-based test we require a minimum of 583 with minimum 53 in all skills and for TOEFL Internet Based Test we require a minimum of 93 with minimum 20 in all skills. Enrolment of Summer School applicants who don't meet the entry requirements is at the discretion of SOAS - please get in touch to speak to us in detail about your application. Once you have paid the £40 application fee and submitted the online application form, you will be informed as to whether you have a place at the summer school within 5 working days. Please do not pay your tuition fee prior to having received your offer letter. 7.5 ECTS in the European system. If you intend to claim credits from your home institution, please check the requirements with them before you enrol. We will be happy to assist you in any way we can, however, please be aware that the decision to award credits rests with your home institution. Assessment will be optional and will vary for each course. Participants will be provided with a certificate of attendance and transcripts will be available on request. Additional 2 hours on a specified Friday involving content-related optional activities, such as museum or company visits. On Fridays, courses open up one of their activities to all Summer School students, giving each student a variety of different activities to attend. There is a one-off, non-refundable application fee of £40. Accommodation is available to Summer School students at the SOAS Halls of Residence, Dinwiddy House. For details of how to book a room please visit the Dinwiddy House accommodation page. Our friendly and vibrant campus is located in the heart of London at the centre of historic Bloomsbury. The capital's rich cultural and social life is literally on our doorstep! During the SOAS Summer SchooL, you will be invited to attend a diverse social programme offered by SOAS and the Summer School team, including course-related activities, a welcome and a farewell reception, a Thames River cruise, and various events offered by SOAS throughout the summer. In addition, you can book discounted trips through our partner International Friends or you can explore what the city has to offer. A detailed programme will be available closer to the Summer School's start. I found my classes extremely stimulating and found the teachers to be very qualified, as they all had previous professional experience in the fields they were teaching. The campus is beautiful and each classroom is reasonably sized with students from all over the world. It is also located in a very nice part of London that has plenty of things to offer once the class is over. SOAS was an enriching experience for me and I would not change it for anything in the world. This course aims to provide participants with both theoretical knowledge and practical tools to understand and meet the challenges that the Sustainable Development Goals (SDGs) pose for governments devising public policies and delivery strategies to achieve them. This course consists of lectures, workshops, field trips and guided tours of London, together with a guided tour of a rural/coastal region in Sussex, namely the Cinque Port of Rye and its surrounds. It will offer a wide range of approaches and agendas (both theoretical and policy-related) about tourism, pilgrimage, cultural heritage, and travel more generally – including consideration of refugees and asylum seekers. This course aims to provide participants with theoretical knowledge and critical tools for understanding the impact of Blockchain technology on various parts of the economy and society. This course offers an introduction to the theories and methods of studying culture and deals with the history and development of Middle Eastern and North African (MENA) culture from the classical period to the present. It examines the major cultural patterns and institutions of the MENA region. This course provides a critical introduction to understanding the politics of climate change. It presents a critical perspective on the relationship between the environment and development, nature, society and the Anthropocene, and focuses on the dynamics of socio-environmental change, giving attention to its material and economic, political and organisational as well as cultural and ideological dimensions. This course offers insight into key issues in the study of gender and conflict, interrogating Security Council resolutions on women, peace and security, including conflict-related sexual violence, while also analysing transnational feminist approaches beyond the resolutions. The course provides a focus for students interested in feminism and masculinity studies, sexuality and gender, alongside the tools to use gender analysis in the study of peacebuilding and peacekeeping, post-conflict initiatives, security and armed conflict. This course critically explores the contemporary global digital economy with an emphasis on social impact startups as drivers for positive economic and social change. Situated at the Centre for Global Media and Communication in the School of Interdisciplinary Studies at SOAS, it provides a unique combination of critical approaches to the emerging digital economy from the perspective of the Global South with practical hands-on knowledge of how to design and develop alternative business models for using digital technology for social change. This course serves as an introduction to the politics of North Africa (Maghreb), the Arab East (Mashriq) including the Gulf and the Arabian Peninsula, Israel, Turkey and Iran. It gives - on a country by county basis - an overview of the major political issues and developments in the region since the end of the First World War and addresses key themes in the study of contemporary Middle East politics, including: the role of the military, social and economic development, political Islam, and the recent uprisings (the 'Arab Spring'). This course provides students with a basic understanding of international law, focusing on foundational structures that are necessary to engage with any international legal issue. In addition, students are introduced to a number of contemporary problems of world order that require the application of the foundational rules and structures to develop awareness of both the limitations and potential of international law as a tool for change. This course aims to provide participants with the theoretical knowledge and critical tools for understanding the rationale for, and the impact of, public financial management policies on the economy in the context of austerity. Learning a language enables you to communicate; it gives direct access to foreign-language sources. Learning a language opens up a world of possibilities for dialogue, understanding, personal development and careers: languages set you free. Choose to learn Chinese Mandarin at level 1a (beginner) or level 1b (Advanced Beginner), or combine both levels over 4 weeks. Choose to learn Japanese at level 1a (beginner) or level 1b (Advanced Beginner), or combine both levels over 4 weeks. This is a basic introductory language course in the written and spoken language for absolute beginners and is equivalent to the first term of Korean language study at university. Students are not assumed to have any previous knowledge of the language or its script. From Donald Trump to Brexit to Jair Bolsonaro to Matteo Salvini to Narendra Modi to Viktor Orbán, right-wing populism seems to be advancing relentlessly around the world. Meanwhile, already-existing authoritarian leaders like Xi Jinping and Vladimir Putin are tightening their grip. Protest movements have emerged in Brazil, France, India and elsewhere, from left and right, united by their loss of faith in conventional (‘neoliberal’) democracy. Ever wondered how to begin a project? What does 'Research' mean? Or Simply how to turn a good idea into a well-formed report? Whatever the predicament, at whatever the level, in both academic and professional settings, the Research Awareness: Design and Methodology summer school provides a unique opportunity to develop and hone your ability to conceptualise and develop your research skills. We will tackle what it means to be a researcher from the ground up, starting with the fundamental building blocks of what constitutes 'research', how to go about it well and what pitfalls to avoid. This course introduces students to the role of finance in the transition to a sustainable, low-carbon economy. Mitigating and adapting to climate change while simultaneously realising the Sustainable Development Goals (SDGs) requires the deployment of large amounts of capital – capital which isn’t currently provided in sufficient amounts. Moreover, climate change poses a significant risk to economies and financial systems alike. At the same time, there are substantial opportunities in financing the green transformation and in aligning investments and finance with environmental, social and governance (ESG) criteria. This course aims to place the modern Middle East in its international context, exploring histories of empire and decolonisation, hegemony and resistance, conflict and cooperation, as well as identity and foreign policy. It is informed by a rigorous engagement with theories of international relations. The course begins with an exploration of the different historical phases of interaction between Middle East states and the international system. These are divided into the colonial, Cold War and post-Cold War periods. This course provides participants with an overall understanding of the history, politics and culture of Africa. With a diverse range of sessions, from History, Pan-Africanism and Politics to Languages, Migration, and Music, the course gives an in-depth knowledge of the main academic areas of study regarding Africa. The course comprises a combination of lectures and interactive workshops, as well as museum visits and social events.